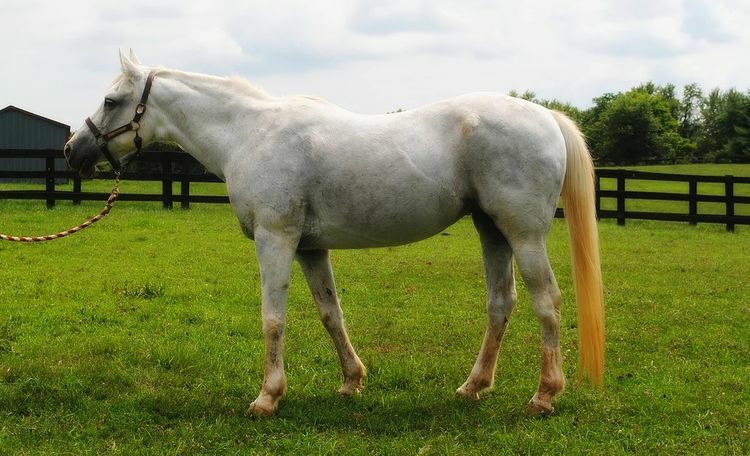 Ivy is a grey 1998 Arabian mare who came to ERL in early June 2013 - her story is amazing! She was severely malnourished - weighing in at only 550 pounds. Almost one year later she weighed in at a whopping 850 pounds, a much more normal weight for her. We are continuously amazed by her resilient and determined spirit. She is a remarkable little mare with many years of love and fun to offer, but as a senior citizen she has special needs - Ivy requires three meals a day of a soaked complete feed and cannot have hay as she quids, due to the condition of what is left of her teeth. 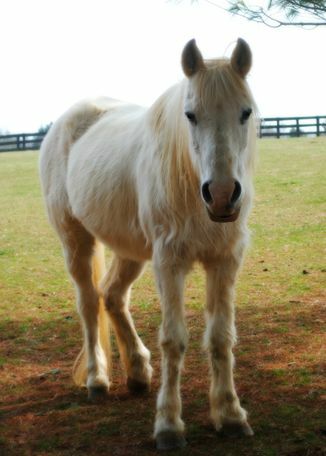 Although she requires a little senior management, Ivy's adoptive family will receive the sweet love and appreciation only a senior equine offers.